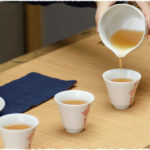 A unique form of tea, named after the town of Pu-erh in Yunnan province, that has a completely different processing method,and usually taste, to other teas. Pu-erh tea helps you to lose weight by helping to increase the speed of digestion. And the best way to see results in losing weight using Pu-erh tea is to combine your Pu-erh tea with a healthy diet and plenty of exercise. In China, Kombucha has also been called “Sea Treasure (海宝: hǎi bǎo )” and “Stomach Treasure (胃宝: wèi bǎo)”, which is a fermented drink made with sugar, tea, water and scoby (culture of bacteria and yeast). Fermentation is an indispensable process for making some types of tea. Many tea lovers may know that fermented tea, like black tea and pu-erh tea contains higher caffeine than unfermented tea like green tea. In this article, we will further verify this conclusion by analyzing some experimental data. The plain, neat jasmine is representative of deeply rooted romantic love in many countries, the jasmine flower tea scented by which letting a person fondle admiringly with its refreshing taste and silky faint fragrance. Matcha green tea is the most fresh and nutritious tea, due to its natural bright green color, which can also enhance consumer desire to drink. The nutrition of a cup of Matcha tea is higher than 30 cups of ordinary tea. Chrysanthemum tea (Chinese: 菊花茶) is a flower-based infusion beverage made from Chrysanthemum flowers of the species Chrysanthemum morifolium (Chinese: 杭菊) or Chrysanthemum indicum (野菊花), which are mostly present in East Asia, mostly especially in China. 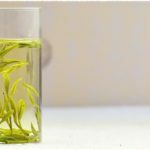 Can Tea Dispel the Effects of Alcohol ? Pu-erh tea has been touted for many years as a great weight loss tea because of its ability to help us burn fat and shed pounds. It loses your weight safety and can product your stomach. 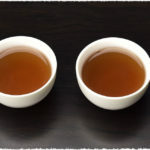 The best way to weight loss is to brew and drink pu-erh tea every day. Then each time you will gain the health benefits of the Pu-erh tea. Tea have many health benefits such as Antioxidants – The natural cancer fighting and anti-aging benefits of tea; Reduce the risk of stroke and heart attack; Naturally boost your immune system; Help your body stay hydrated…. You can get more information from this article. A cup of green tea contains anywhere up to 200mg of catechins, that are known to give it’s anti oxidant benefits.